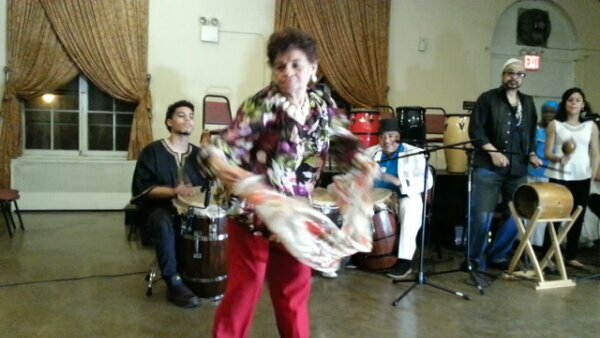 This past Saturday on March 22nd, the Puerto Rican Afro-Boricua rhythms of bomba echoed through the Andrew Freedman Home on the Grand Concourse — played and danced by both teenagers and senior citizens alike. 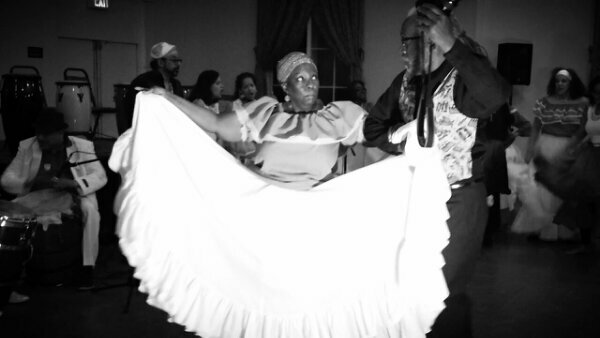 The event was in commemoration of t141st anniversary of the abolition of slavery in Puerto Rico and was hosted by BombaYo, an organization founded by José L. Ortiz (known by everyone as Dr Drum) and Melinda Gonzalez. 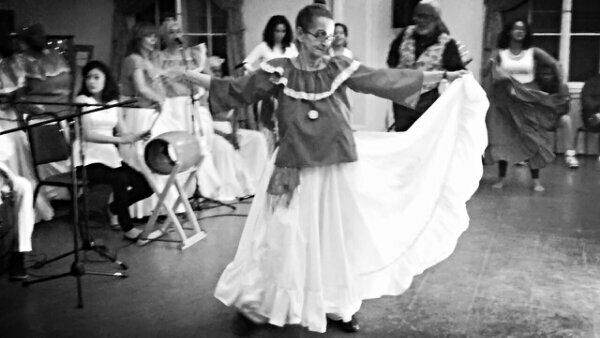 Dr Drum has been teaching the Bomba tradition for the past 13 years, passing along the rich history to not only the youth but to also seniors who do not always know their own history. 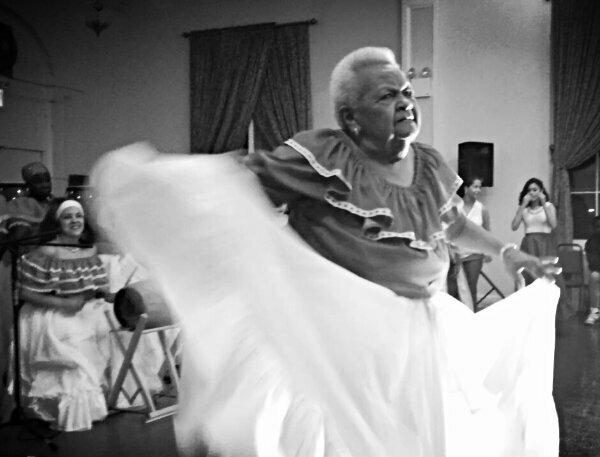 Saturday night’s performance was a first for many in the group, including, Las Perlas de BombaYo, an all-female group who gave an outstanding performance in front of hundreds of people who had come to experience the free, family event. The show started with the sounds of The Bronx Andrew Freedman Youth Conga Symphony, a group of adolescents taught by Dr Drum, and then proceeded with a powerful history lesson on the arrival of the enslaved Africans to Puerto Rico, centuries of brutal torture and finally freedom. 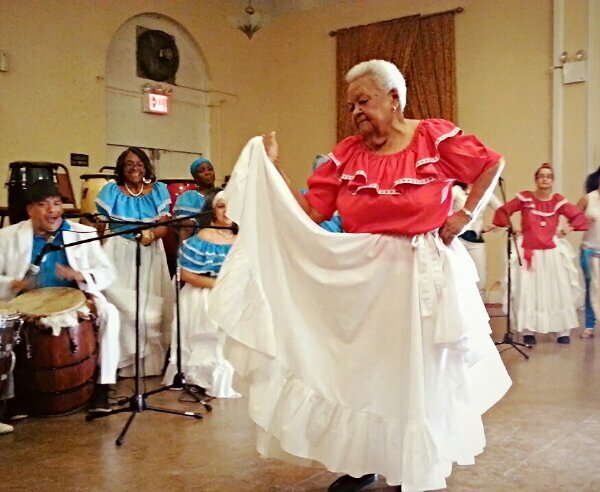 Then the long awaited act began with Las Perlas de BombaYo as they dramatically entered the ballroom of the Andrew Freedman Home in single file with just the sound of a maraca as one by one, the women of the group sang the chorus of the song, ‘1873’ written by Jerry Ferrao to commemorate the day of abolition. Once they reached the front and got into their positions, the drums and other instruments used in Bomba came alive as the women deftly played them with such familiarity as if they were experts of the craft of many years. 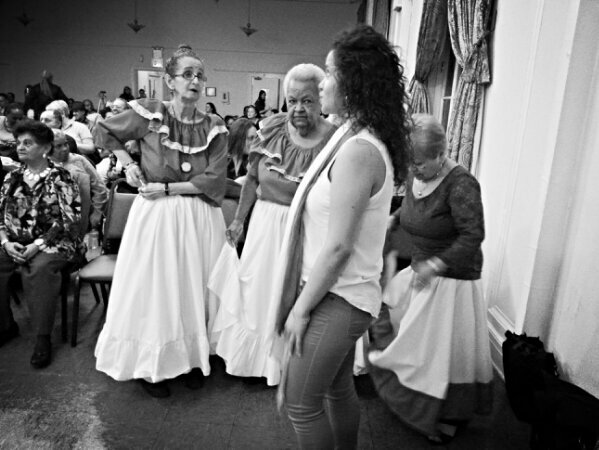 To witness these women in their teens and well into their senior years performing with such joy and expertise is a testament to the hard work and dedication Dr Drum has to teaching his craft and the Puerto Rican community’s history. 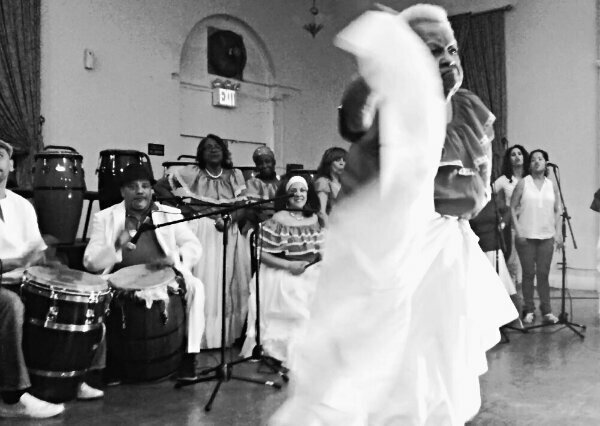 The ultimate highlight of the evening was the last act when several senior citizens, who are Dr Drum’s students, went on stage along with other drummers and Las Perlas de BombaYo. Every single member of the group was outstanding but the belle of the ball that stole everyone’s heart was 86 year young, Teresa Fortuna. This was Teresa’s first dance performance since she started at BombaYo’s community workshops since 2010 according to Dr Drum. (See her video and others from the evening below). The power of the arts was very evident Saturday night and we must do what we can to support such workshops and endeavors in a borough so culturally rich and filled with art, music, and dance from so many diverse backgrounds, countries and continents yet starved by poor access to the necessary support networks. 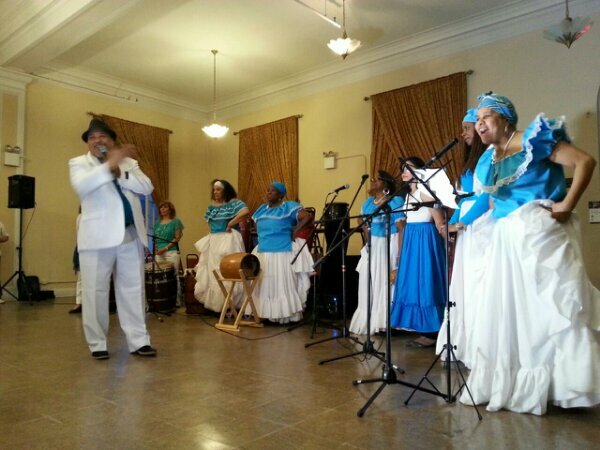 141st Anniversary Commemoration Of The Abolition Of Slavery In Puerto Rico Tonight At The Andrew Freedman Home!